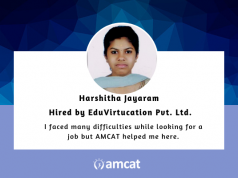 Jyotesh Pateriya had a fruitful experience with the AMCAT. This is how the test helped him to score a job as a Business Development Executive. Here is a successful career journey of a Business Development Executive, Jyotesh Pateriya who scored 2 jobs right after the AMCAT. This creative techno freak believes in creating opportunities instead of waiting for them to manifest. Let us peruse through his success. Q. While looking for a job, did you face any difficulties? If yes, which ones. And why did you opt for the AMCAT? 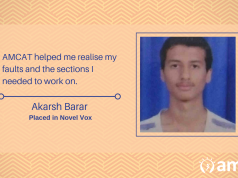 Like any other fresher, Jyotesh also faced few difficulties in the beginning. He says, “Yes, I face quite a lot difficulties. During my Final Year I had hoped to get a job in the campus selection process but unfortunately, I failed to do so. It is when my TPO suggested me to appear for the AMCAT, I got calls from many companies after giving the AMCAT”. Q. 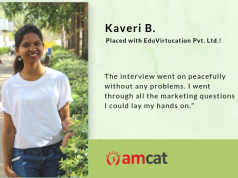 How was the AMCAT experience? Delighted with the test and its results, Jyotesh says, “The AMCAT experience was awesome. The invigilators and the managers over there are much supportive and helpful”. “I got my first call after 6 months from Appcino Technology, but I failed to convert it. After that, I got a call from Dollar Advisory and Financial Services, Indore”. 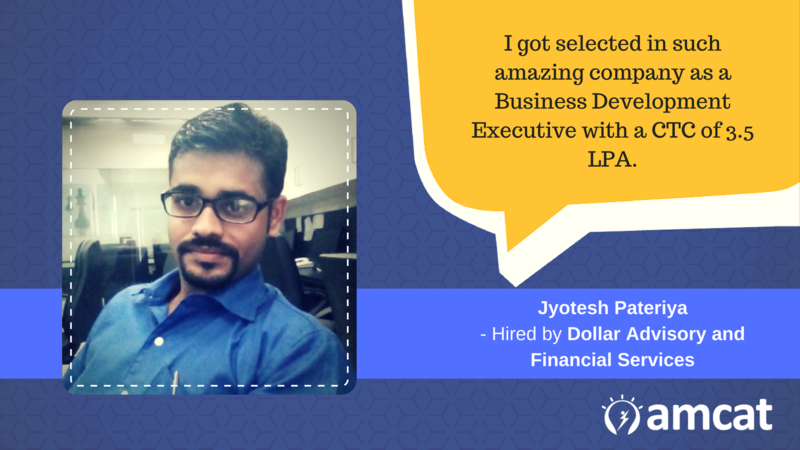 Pleased by the job role and the company, Jyotesh says, “I got selected for such an amazing company as a Business Development Executive with a CTC of 3.5 Lpa”. “Interview Process is much simplified and a sophisticated one. AMCAT personnel’s over there helped me out”. “Yeah Definitely. The authenticity is always there in the test. The interview process is simplified and the job seekers will get better opportunities”. Be clear with your basics as they usually ask from the basics only. Believe in yourself. Failures are also a part of our life. If u won’t fail in life you won’t construct an idea to get succeed in the other.